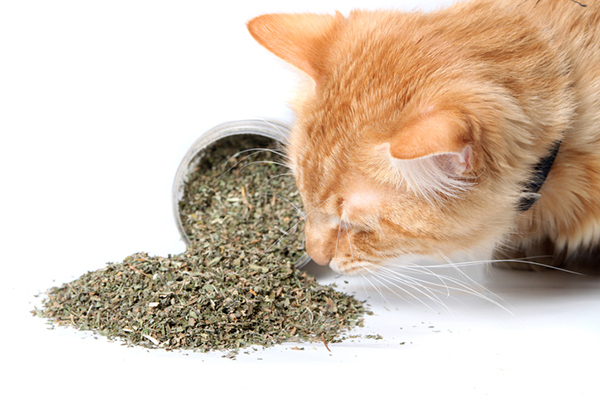 Next on The Scoop: How Do Cats Taste Their Food? So, you adopted a new cat — congrats! The hard part comes when introducing cats to a new cat in a multi-cat household. Let’s look at some tips. 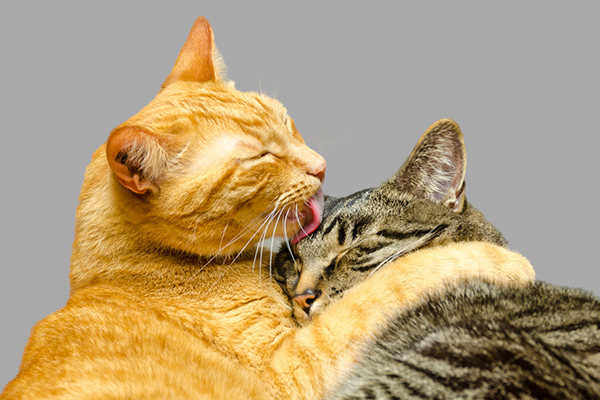 Two cats grooming one another. Photography by karamysh | Shutterstock. I have more space to work with for this introduction than I’ve had in the past. This is great because it means that possibly disgruntled cats (disgruntled about the newcomer) can spread out and occupy themselves. The newcomer doesn’t have to be in their face all the time, even if the newbie is behind a door. It’s great for cats to feel as if they have lots of escape possibilities and hiding places. If you can provide this, great. If you need to create escape places that will feel good for your new cat, consider the use of cat carriers. I sometimes get so enamored with a newcomer (and Zorro is adorable, most would admit) that time can get thin and the attention given to others can be neglected. So I need to be really aware of that. 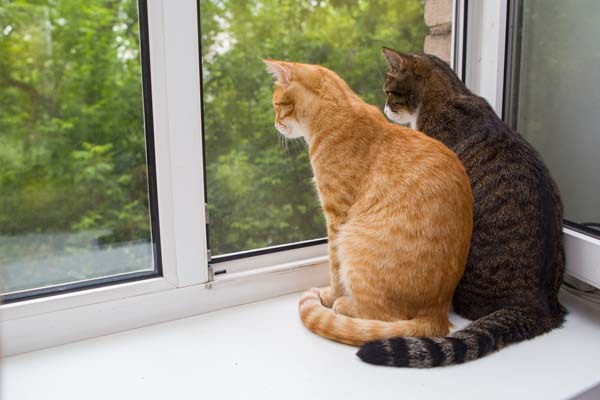 Make sure that all your cats are getting lots of attention during this transition. You might really lay on the attention to the cats who are the most settled and have been around the longest. They’ve weathered a lot of change and they deserve our loyalty. Make a note to make sure that everyone gets attention, every day. Given Zorro’s personality, I decided to introduce him first to Norton. Norton is young and easygoing, and doesn’t seem to hold a grudge. This also seems to keep everyone else happy, for now. And it also keeps Norton busy, because his energy is sometimes a bit much for the older cats. Gradually, as these two cats got used to each other, I began to let Norton out of the carrier in the room. Zorro was delighted, running up to rub against Norton. Norton grumbled a little, but Norton is not a seriously grumpy cat. Everyone else was happily napping downstairs, unconcerned with the introduction upstairs. I am hoping that subsequent intros will be even easier now that Norton has broken the ice. Rather than getting stressed about a new cat introduction, I try to make it fun. Playing seems to be the great equalizer. In this case, there’s a nice gap under the door to Zorro’s room. Now that Norton has gotten to know Zorro, I’ve seen them play paws under the door without growling or aggression. Again, it frees up the other cats to go about their business. This particular door also has a semitransparent cat door installed in the door. I locked the cat door, but the cats can “see” each other through the opaque plastic. This is another way to keep everyone busy and happy. If Zorro is lonely, I’ll play with him. I feel at this point, he’ll be with all the others, soon. If the others seem down, or disgruntled about the change, I’ll play with them, too. 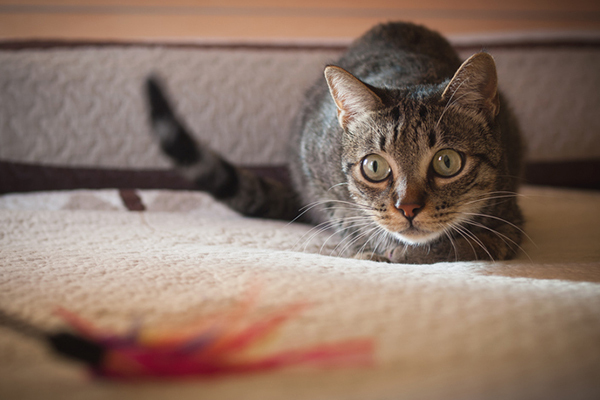 Tell us: What are your hints for introducing cats? Share your ideas in the comments! Thumbnail: Photography by By Okssi | Shutterstock.